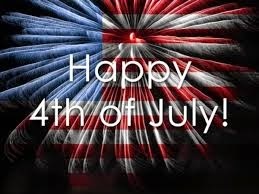 I hope you and your families have a GREAT day celebrating our awesome country!! The Slaughters are geared up for a great day with friends, a parade, a pool, and lots of yummy food!! We're so excited to get to spend the day with you!! Happy 4th!! Happy 4th Slaughters!!! Have a great day celebrating with family and friends!!! !